Are you a lover of corn dogs? 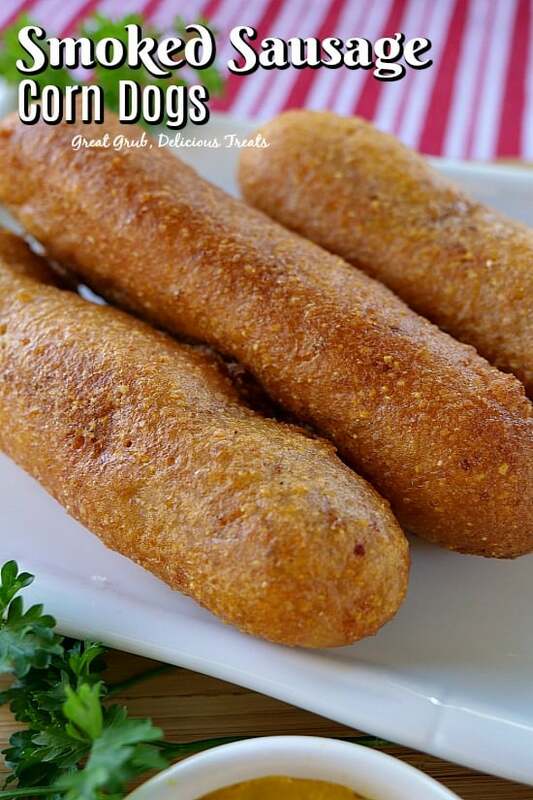 I am and these smoked sausage corn dogs are what I call absolutely delish. 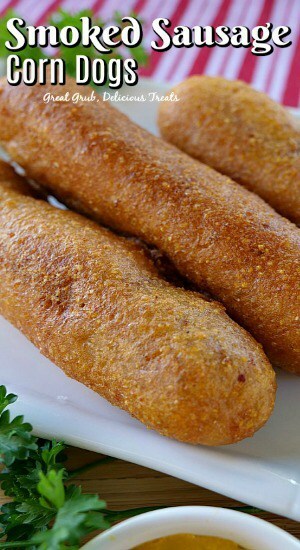 They remind me of the corn dogs you get from the “The Little Red Wagon” at Disneyland. 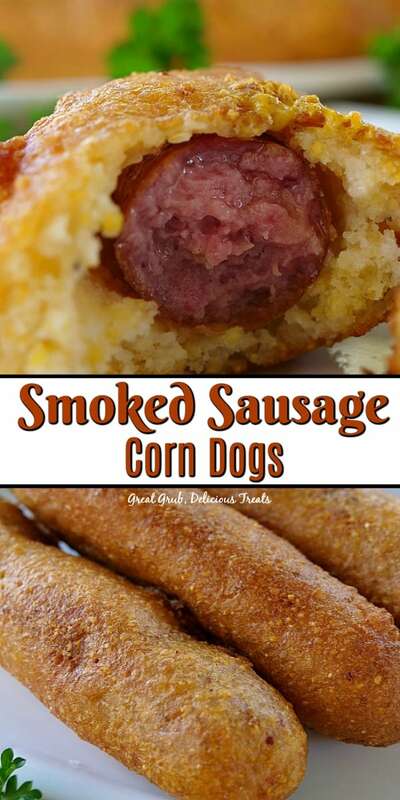 However, these are made with smoked sausage links and are oh so good! The one thing that we always would make sure to get when we would visit Disneyland were their delicious homemade, hand dipped corn dogs. Seriously, at times we would drive to the happiest place on earth just to eat lunch. And lunch definitely consisted of their corn dogs. 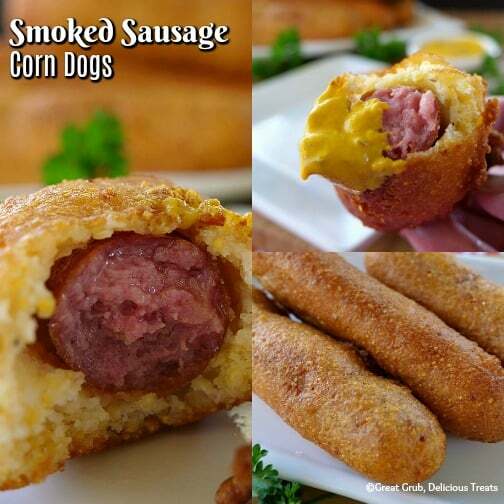 And since we love smoked sausage, hey why not make sausage corn dogs? 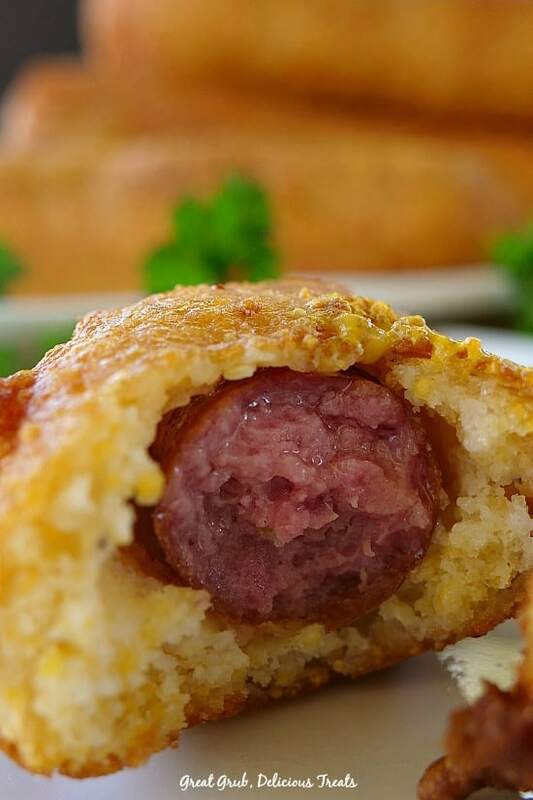 There’s nothing better than a good ol’ homemade corn dog made with sausage. 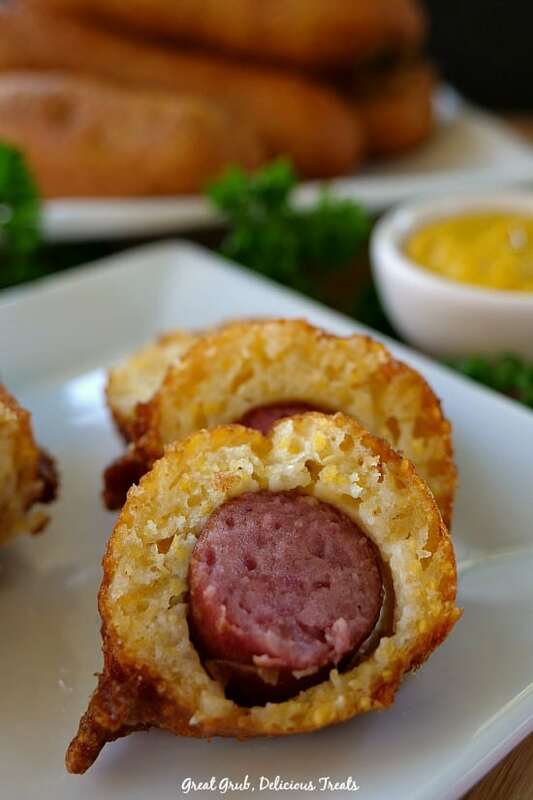 These are super delicious and the smoky flavor of the sausage mixed with the delicious homemade corn meal batter, with a bit of spice added, definitely is a perfect combination. 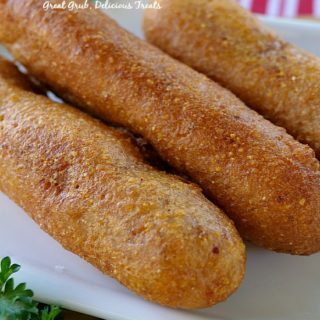 The corn meal batter is fried to a golden brown and has the perfect crispiness and crunchiness that makes these corn dogs so delicious. Then dipping these babies in some mustard (or your favorite dipping sauce) just completes the deliciousness. 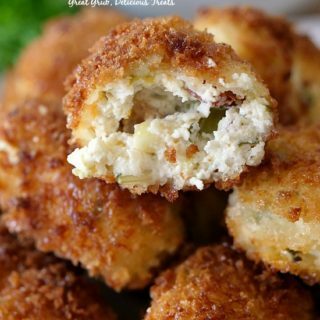 You have got to try these. Go ahead and switch out the sausage for a hot dog if sausage doesn’t appeal to you. 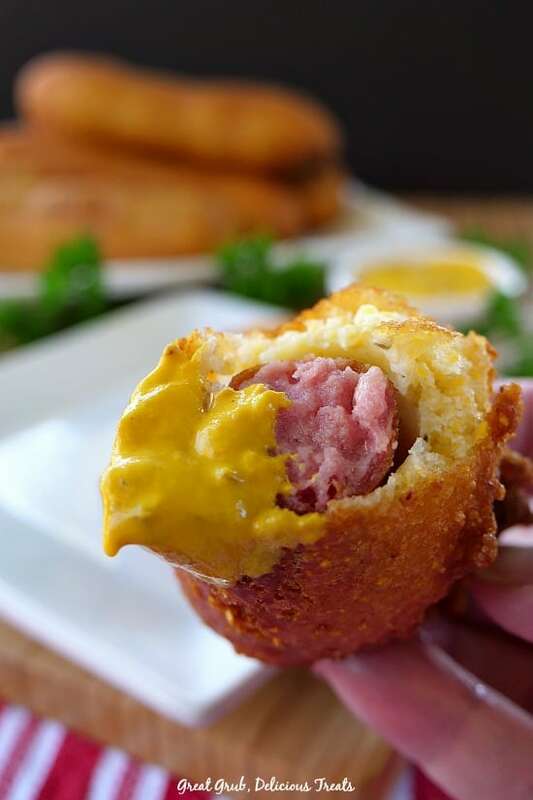 It’s the thick, homemade batter that makes these smoked sausage corn dogs so delicious. 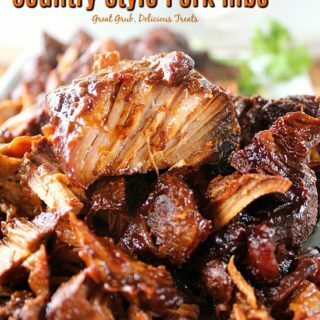 Here are a few more delicious recipes that can be found on the blog: Honey Barbecue Chicken Wings, BBQ Bacon Wrapped Kielbasa, Mini Baked Parmesan Potato Rounds, Sausage Kielbasa Green Beans, BBQ Bacon Broccoli Avocado Salad, plus many more. Heat about 2 cups of vegetable oil in a medium heavy bottom pan at 375°. 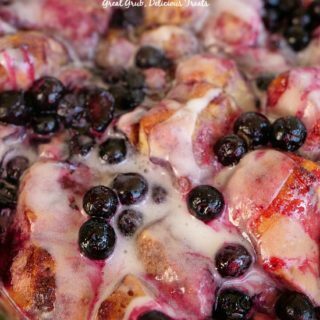 In a medium mixing bowl, whisk dry ingredients together. In a small bowl, mix egg, buttermilk and oil together then add to dry ingredients. Stir until just moistened. Prior to dipping smoked sausages into the batter, make sure to dry each one off with a paper towel. 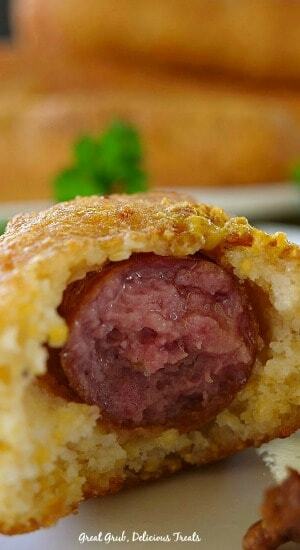 Next, dip each sausage into the batter, covering it completely and then carefully adding it immediately to the heated oil with a spoon. 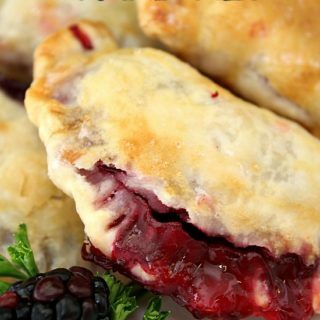 Cook until golden brown on all sides, about 4-5 minutes, and then carefully remove and place on a plate lined with paper towels. 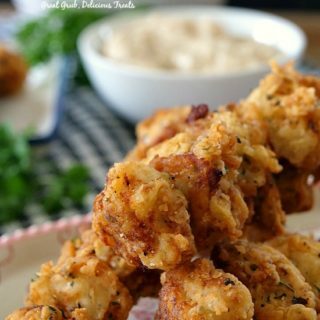 I don't use sticks with this recipe, but if you want these "on a stick" just add the sticks prior to placing in the oil.